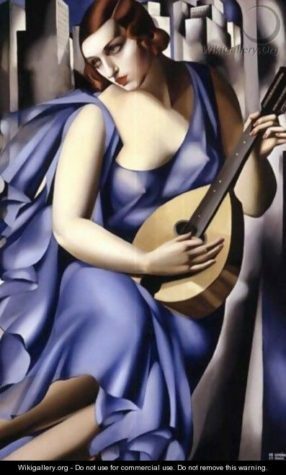 The Art Newspaper reports: ‘The Dutch art detective Arthur Brand has announced the recovery of two works stolen from a private museum in the Netherlands in 2009: Salvador Dalí’s gouache “Adolescence” and Tamara de Lempicka’s oil painting “La Musicienne” (pictured), which was shown in Madonna’s music video for “Vogue” (1990). Both works are said to be in good condition. The pieces were brazenly stolen during opening hours on 1 May 2009 from the Scheringa Museum of Realist Art, which was located in the village of Spanbroek in the North Holland province and closed in 2011. Several masked robbers threatened staff and visitors at gunpoint and made off with their loot in a matter of minutes.’ No one was injured.